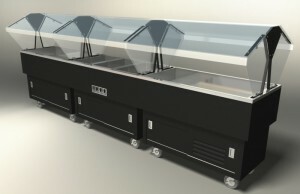 Whether it's a traditional serving line, stand-alone kiosks, or a custom configured line with themed signage, Duke can build you a profitable equipment program around the finest, most stylish and durable counters in the industry. 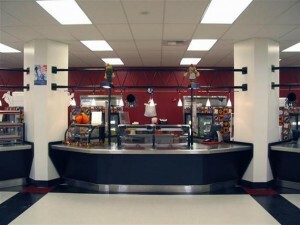 Custom solutions on a modular budget Take advantage of modular efficiencies and custom décor packages to build a truly signature curved design in your dining area. 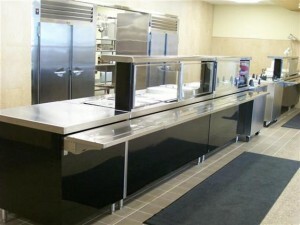 Traditional serving lines designed for the way you work No matter how complicated your foodservice process is. Thurmaduke is versatile enough to tackle your specific challenges with style. 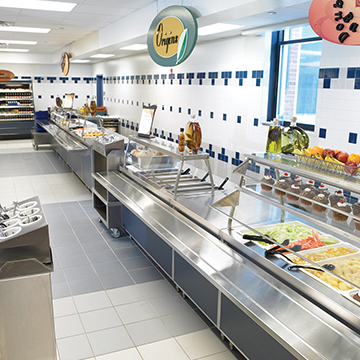 The Gold Standard for traditional modular serving systems 24-5" wide stainless steel tops are great for limited space without compromising on flexibility or durability. AeroServ features the same construction as Thurmaduke and Expressions. Function and style come together These units are designed to fit any décor, in your choice of eight standard laminate finishes. Great looks, durability and variety These portable buffet units are available with open or closed storage bases, and also come in tabletop models. 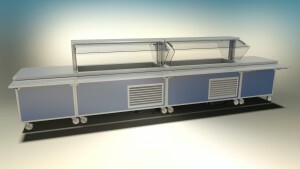 Duke can outfit your serving line to be as unique as your business. Whether you're looking for a custom design with one-of-a-kind details and finishes, or a modular system with customizable options, we can help you create a signature look that is a smart investment.